Remembering all the useful HDFS commands can be a real pain. 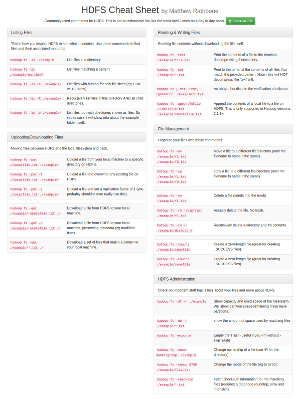 This cheat sheet will provide you with all the most useful commands on a single page. I made it for myself, but please enjoy!